There are many diagnoses within the differential of heel pain; however, plantar fasciitis is the most common cause of heel pain for which professional care is sought. Approximately 10% of the United States population experiences bouts of heel pain, which results in 1 million visits per year to medical professionals for treatment of plantar fasciitis. The annual cost of treatments for plantar fasciitis is estimated to be between $192 and $376 million dollars. The etiology of this condition is multifactorial, and the condition can occur traumatically; however, most cases are from overuse stresses. A variety of causes exist for plantar fasciitis. 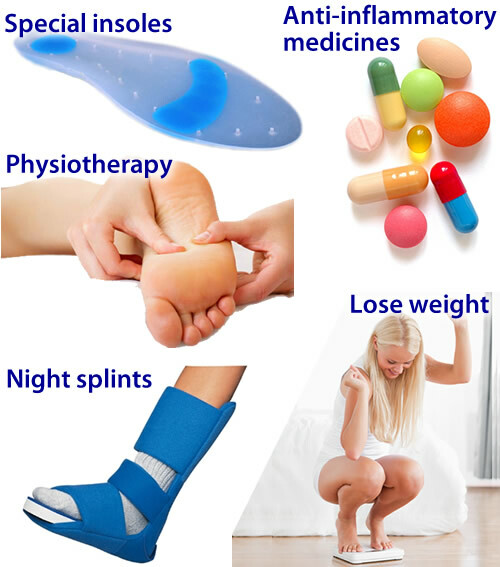 Some of the most common causes include excessive weight load on the foot due to obesity or prolonged standing, mechanical imbalances of the foot, osteoarthritis and rheumatoid arthritis, sudden increase in body weight (e.g., pregnancy), sudden increase in walking or running, tight calf muscles is a very common cause of the disorder, wearing shoes with poor support, including flip-flops. Another cause of pain is the shortening of the plantar fascia overnight due to the ankle bending, causing the toes to point towards the ground. The plantar fascia stretches in the morning when you stand. The act of lengthening it causes a great deal of pain. 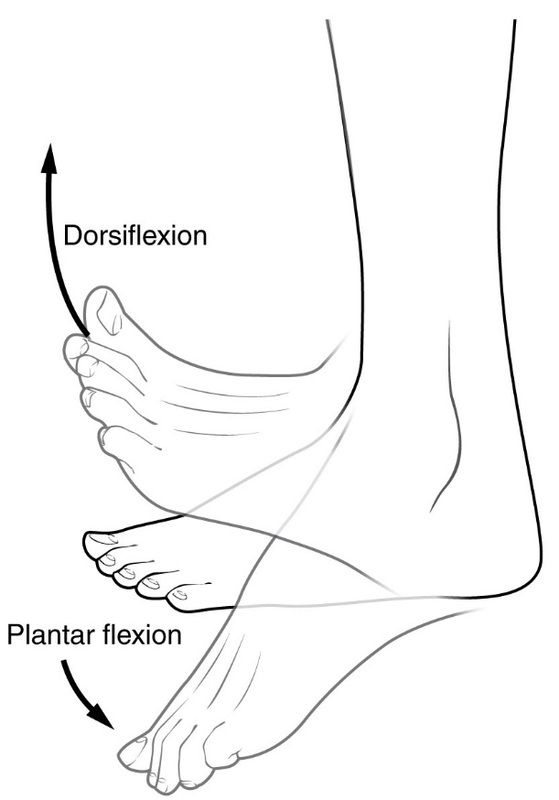 However, this is not limited to an overnight occurrence, it can happen any time the foot is flexed (i.e., pointed) for extended periods of time. For example, driving in the car for long periods can cause fasciitis in the right foot, which steps on the accelerator. If treatment hasn’t worked and you still have painful symptoms after a year, your GP may refer you to either an orthopaedic surgeon, a surgeon who specialises in surgery that involves bones, muscles and joints, a podiatric surgeon, a podiatrist who specialises in foot surgery. Surgery is sometimes recommended for professional athletes and other sportspeople whose heel pain is adversely affecting their career. Plantar release surgery. Plantar release surgery is the most widely used type of surgery for heel pain. The surgeon will cut the fascia to release it from your heel bone and reduce the tension in your plantar fascia. This should reduce any inflammation and relieve your painful symptoms. Surgery can be performed either as, open surgery, where the section of the plantar fascia is released by making a cut into your heel, endoscopic or minimal incision surgery – where a smaller incision is made and special instruments are inserted through the incision to gain access to the plantar fascia. Endoscopic or minimal incision surgery has a quicker recovery time, so you will be able to walk normally much sooner (almost immediately), compared with two to three weeks for open surgery. A disadvantage of endoscopic surgery is that it requires both a specially trained surgical team and specialised equipment, so you may have to wait longer for treatment than if you were to choose open surgery. Endoscopic surgery also carries a higher risk of damaging nearby nerves, which could result in symptoms such as numbness, tingling or some loss of movement in your foot. As with all surgery, plantar release carries the risk of causing complications such as infection, nerve damage and a worsening of your symptoms after surgery (although this is rare). You should discuss the advantages and disadvantages of both techniques with your surgical team. Extracorporeal shockwave therapy (EST) is a fairly new type of non-invasive treatment. Non-invasive means it does not involve making cuts into your body. EST involves using a device to deliver high-energy soundwaves into your heel. The soundwaves can sometimes cause pain, so a local anaesthetic may be used to numb your heel. It is claimed that EST works in two ways. It is thought to, have a “numbing” effect on the nerves that transmit pain signals to your brain, help stimulate and speed up the healing process. However, these claims have not yet been definitively proven. The National Institute for Health and Care Excellence (NICE) has issued guidance about the use of EST for treating plantar fasciitis. NICE states there are no concerns over the safety of EST, but there are uncertainties about how effective the procedure is for treating heel pain. Some studies have reported that EST is more effective than surgery and other non-surgical treatments, while other studies found the procedure to be no better than a placebo (sham treatment). Preventing plantar fasciitis is crucial. There are many choices to help prevent the occurrence of this condition, and keep it from returning. One of the most important is maintaining a healthy weight in order to reduce tension on the plantar fascia. In addition, shoes are very important, and should fit well and provide ample cushioning and support throughout the heel, arch, and ball of the foot so that weight is distributed evenly throughout the foot. Try to avoid walking barefoot on hard surfaces and replace old shoes before they wear out, especially shoes that you run or exercise in. When exercising, start off slow and ease into new routines to prevent sudden or excessive stress on tissue. Lastly, keep your calf muscles and the tissue of your feet stretched. Greater flexibility in the tissue makes them less susceptible to damage. Plantar fasciitis is the most common cause of heel pain, accounting for around four out of five cases. Plantar fasciitis is when the thick band of tissue that connects the heel bone with the rest of the foot (the plantar fascia) becomes damaged and thickened. Damage to the plantar fascia is thought to occur following sudden damage, for example, damaging your heel while jogging, running or dancing; this type of damage usually affects younger people who are physically active, gradual wear and tear of the tissues that make up the plantar fascia – this usually affects adults who are 40 years of age or over. You are at an increased risk of gradual wear and tear damaging your plantar fasciitis if you are overweight or obese, if you have a body mass index (BMI) of 30 or over, you are considered to be obese, have a job that involves spending long periods of time standing, wear flat-soled shoes, such as sandals or flip flops. Less common causes of heel pain are a stress fracture. A stress fracture can occur if your heel bone is damaged during an injury. Fat pad atrophy. Fat pad atrophy is where the layer of fat that lies under the heel bone, known as the fat pad, starts to waste away due to too much strain being placed on the pad. Women who wear high-heeled shoes for many years have an increased risk of developing fat pad atrophy. Bursitis. Bursitis is inflammation of one or more bursa (small fluid-filled sacs under the skin, usually found over the joints and between tendons and bones). It’s possible to develop bursitis anywhere inside the body, not just in the foot. Tarsal tunnel syndrome. The nerves in the sole of your foot pass through a small tunnel on the inside of the ankle joint, known as the tarsal tunnel. If a cyst forms or the tunnel is damaged, the nerves can become compressed (squashed). This can cause pain anywhere along the nerve, including beneath your heel. Sever’s disease. Sever’s disease is a common cause of heel pain in children. It’s caused by the muscles and tendons of the hamstrings and calves stretching and tightening in response to growth spurts. The stretching of the calf muscle pulls on the Achilles tendon. This pulls on the growing area of bone at the back of the heel (growth plate), causing pain in the heel. The pain is further aggravated by activities such as football and gymnastics. 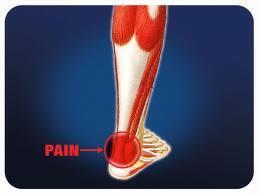 The pain often develops at the side of the heel, but can also be felt under the heel. Calf and hamstring stretches and, if necessary, heel pads are usually effective treatments for Sever’s disease. Bone spurs. Bone spurs are an excess growth of bone that forms on a normal bone. Bone spurs can develop on the heel (a heel spur) and are more common in people with heel pain. However, they can also occur in people without heel pain. A heel spur does not cause heel pain. Warm up properly. This means not only stretching prior to a given athletic event, but a gradual rather than sudden increase in volume and intensity over the course of the training season. A frequent cause of plantar fasciitis is a sudden increase of activity without suitable preparation. Avoid activities that cause pain. Running on steep terrain, excessively hard or soft ground, etc can cause unnatural biomechanical strain to the foot, resulting in pain. This is generally a sign of stress leading to injury and should be curtailed or discontinued. Shoes, arch support. Athletic demands placed on the feet, particularly during running events, are extreme. Injury results when supportive structures in the foot have been taxed beyond their recovery capacity. Full support of the feet in well-fitting footwear reduces the likelihood of injury. Rest and rehabilitation. Probably the most important curative therapy for cases of plantar fasciitis is thorough rest. The injured athlete must be prepared to wait out the necessary healing phase, avoiding temptation to return prematurely to athletic activity. Strengthening exercises. Below are two simple strength exercises to help condition the muscles, tendons and joints around the foot and ankle. Plantar Rolling, Place a small tin can or tennis ball under the arch of the affected foot. Slowly move the foot back and forth allowing the tin can or tennis ball to roll around under the arch. This activity will help to stretch, strengthen and massage the affected area. Toe Walking, Stand upright in bare feet and rise up onto the toes and front of the foot. Balance in this position and walk forward in slow, small steps. Maintain an upright, balanced posture, staying as high as possible with each step. Complete three sets of the exercise, with a short break in between sets, for a total of 20 meters. Did you know that redheads require 20% more general anesthesia than non-gingers before going under the knife? Often taken for granted, our feet and ankles are subjected to a rigorous workout everyday. Pain, such as may occur in our heels, alerts Bunion Pain us to seek medical attention. The fungal problems seen most often are athlete’s foot and fungus nails. Big toe joint pain can be a warning sign of arthritis. Enter the shape, color, or imprint of your prescription or OTC drug. Help!!!! !